Download WPA WPS Tester Premium Cracked APK is Android software that’s based mostly on superior encryption of wifi safety algorithm with the quick, and time-saving utility is utilizing for Wifi Password hacking in your android any version of working system. Download Wifi Password Hacker assortment for Android from given under links. I’ve seen a number of request from my every day person. Who at all times ask me that I’ve discovered any software that’s run on Android cellular or smartphone that assist to search out or hack wifi password? I’ve additionally attempt to search a working Wifi Password Hacker Software for Android however each time fail. I’ve downloaded many forms of program for my Windows. This software is simply engaged on Windows for Wifi Password hacking. So not less than I’ve to attempt to discover out a working software for your android cellular. Now you may download Wpa WPS Tester Premium newest full Cracked APK software this software is specifically designed for wifi password hack for android. You want simply to download it by given under working and fast downloader links and get it in your cellular or your Windows PC. Last some days in the past once I was out of my metropolis. And with my pal’s hostel there I’ve came upon a number of wifi connection these are all protected by a password then. I’ve to attempt to hack with wifi password hack for android 100 working. I and eventually can use free web. So mates in case you are life in a hostel or in a superb location the place you’ve confronted many wifi connections then you need to use it. 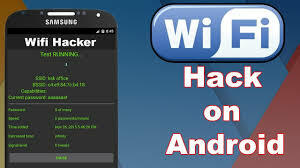 It is freed from value program for your to wifi password hack for android root. Now it’s also rooted software you do not want Root or unlocking bootloader of your Android smartphone and cell phone. It is a premium version that’s already activated. So mates if you agree with my then wifi password hack for android free download right here with the quick downloader. Easy to used engaging, user-friendly interface. Fast and straightforward wifi hacking password. Supported virtually any sorts of Wifi Router. Fast and accessible to the hacking password of wifi WPS/WPA Security. Support Android above 2.0 working system. No want for Android cellular rooted. It is engaged on unrooted and rooted each gadgets. How to download set up and used for wifi hacking? First of all, you should click on given under direct download technique. After downloading you should extract into your Windows or reminiscence card. Here you will see out a set of wifi Pass hacker for android apps. You must attempt to set up into your cellular and checked one after the other. No want for activation keys it’s already activated with patch and crack. If you want my work, then share this put up along with your family and friends on fb, twitter or google plus and in addition share your suggestions with the remark. Thanks for downloading and thrilling wifi hacking.